Visitors to this website will be interested in the recent publication by the University of Chicago Press of Leo Strauss on Maimonides: the Complete Writings, ed. Kenneth Hart Green. 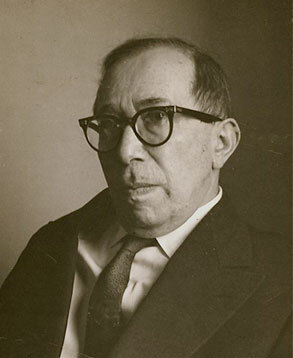 The Leo Strauss Center provided digitally remastered versions of the audio tapes of two lectures Strauss gave on Maimonides at the Hillel Foundation at the University of Chicago in February, 1960, which enabled Green to improve his transcript of Strauss’s lectures. The audio files for these lectures are published today on the Leo Strauss Center’s site, here. The Center is also moving the lecture by Strauss on “The Socratic Question,” given at Claremont Men’s College in February 1968, from the section of course audio files to the website’s new section of occasional lectures. In the coming weeks, the Center looks forward to publishing the audio files of other occasional lectures by Strauss, including the lectures “Jerusalem and Athens,” “Progress or Return?” and “Why We Remain Jews,” all given at the Hillel Foundation. In the case of those lectures later published, there are differences between the lectures as delivered and the published versions. Students, scholars, and interested members of the public will now have the opportunity to listen themselves to the original lectures. The Leo Strauss Center is also arranging for the preservation in the University of Chicago Digital Archive of the digitally remastered occasional lectures, ensuring (insofar as such things can be assured) their preservation for the future. By the way, look out also for Kenneth Hart Green’s Leo Strauss and the Rediscovery of Maimonides, to be published in May by the University of Chicago Press.